As we approach the dead of winter, cold weather preparation is key for your equipment. Many products used regularly within your trucks are not enough by themselves to operate efficiently and safely during the cold season. With this in mind, RelaDyne offers products from Power Service, a diesel fuel additive company with a long history of unparalleled performance against the leading diesel fuel additive competitors. Diesel Fuel Supplement +Cetane Boost, a winterizer/antigel, is used in the cold winter months to prevent fuel gelling and keep fuel-filters from plugging with ice and wax. The benefits of this supplement include faster cold starts, protects your fuel pump and injector against wear, as well as protects against fuel filter icing and fuel gelling. To use this product efficiently, follow the scheduled maintenance recommendations. Diesel 911 is just as it sounds, a product for use in emergencies, primarily when your diesel engine will not start in the cold. The primary use of Diesel 911 is to quickly restore the flow of diesel fuel to your engine caused by gelled fuel or frozen fuel- filters. To use this product efficiently, follow the scheduled maintenance recommendations. Power Service products greatly enhance the operation of your trucks in the winter and offers range of other products for use in all seasons. 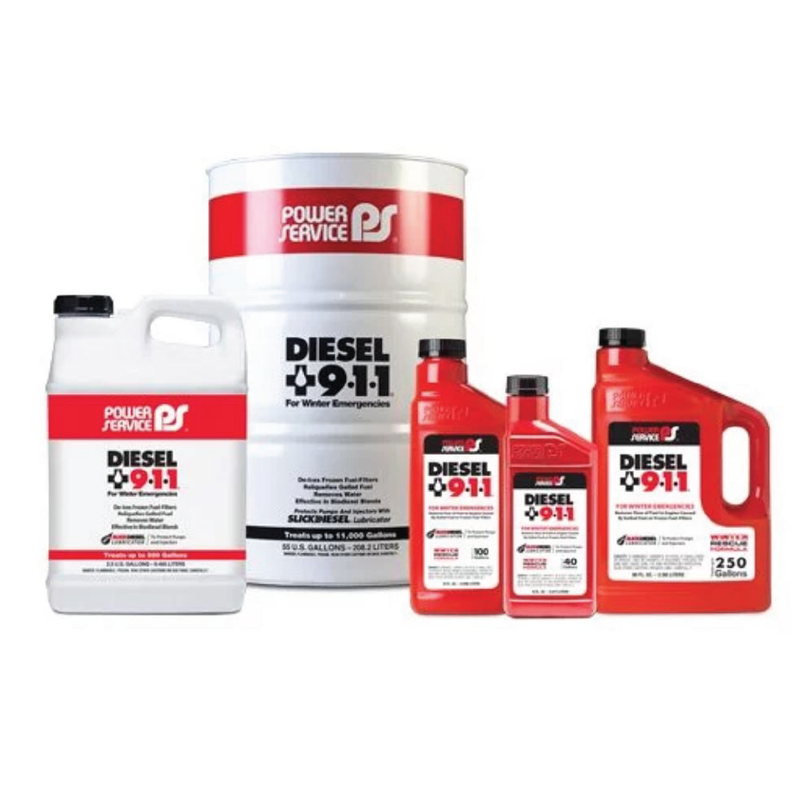 Whether your goal is to manage a fleet of diesel engine trucks or maintaining your personally owned diesel truck, Power Service products are a must-have for long lasting and efficient engine life. To hear from others on how Power Service diesel engine products have improved their truck’s engine life, click here.